Fred committed his life to Christ at eleven years of age and felt the call to pastoral ministry while still in high school. He was assigned his first church at the end of his sophomore year of college. A year later, he was assigned to a second church and Mary joined him as his wife. They were partners in ministry for forty-five years until his retirement from full-time pastoral ministry at the end of 2009. Since then, they have served two churches as interim pastor, including McElwain, 2014-15. Fred and Mary are both natives of south central Pennsylvania, but have lived in Birmingham for over thirty-two years. They have three adult children—Fred II, Stuart and Heather—three grandsons and two granddaughters. Stuart returned with his family to south central Pennsylvania where he is lead pastor in a church and his middle son is associate pastor in a different church. Fred II, his two daughters and Heather live in the greater Birmingham area. Fred and Mary are expecting their first great-grandchild in 2019. The most important thing about Fred and Mary is God’s faithfulness to them in their years of marriage and pastoral ministry. Anything they seem to have accomplished is the direct result of His love and grace. He alone deserves and receives the credit. Jody Baker has been on McElwain’s staff since 1981, and has served as the church’s Minister of Administration & Education since 1996. She is a graduate of Samford University (B.S. ‘80), U.A.B. (M.E. ’81) and New Orleans Baptist Theological Seminary (MCE ‘90). Jody’s passion is helping people use their gifts for the Kingdom. 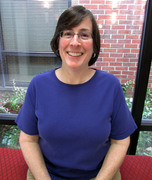 In her spare time, Jody enjoys reading, traveling, and sports. Ana Dutton has served on McElwain’s staff as the Minister to Children since 2014. She completed her Bachelor of Arts degree in Bible and Theology with a minor in Children’s Ministry from Southeastern Bible College in 2015. Growing up, Ana was active in her local church’s children’s ministry from a young age. After almost pursuing a career in culinary arts, she finally submitted to the Lord and His call to minister to children. Ana has been married to Edwin since May 2015. They both have a strong passion for the children who come through the doors of McElwain. It is her hope that each child, family, and volunteer know that they are loved by the Lord! In her extra time, Ana enjoys reading, bargain shopping, cooking, and traveling. 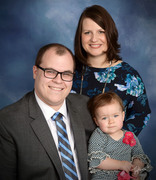 Bradley Wilson, choir director at Hueytown High School and newly appointed Music Minister at McElwain Baptist Church, has been teaching music in the Greater Birmingham area since 2011. Specializing in Vocal Performance, he earned his Bachelor’s Degree in Music from the University of Montevallo. He then completed his Masters in Music Education from the same school so that he may pursue his love for choral music. Bradley has been serving God with his musical talents since he was 12 years old and has a deep love for helping others to enhance their worship through music. He is incredibly excited at the work that is taking place at McElwain Baptist Church and looks forward to being a part of it’s growth. Bradley is a husband to his beautiful wife, Maria Wilson, and is also a father to his sweet baby girl, Juliette Wilson.